Meet the Alter sisters: Lady, Vee, and Delph. These three mordantly witty, complex women share their family’s apartment on Manhattan’s Upper West Side. They love each other fiercely, but being an Alter isn’t easy. Bad luck is in their genes, passed down through the generations. Yet no matter what curves life throws at these siblings—and it’s hurled plenty—they always have a wisecrack, and one another. In the waning days of 1999, the trio decides it’s time to close the circle of the Alter curse. But first, as the world counts down to the dawn of a new millennium, Lady, Vee, and Delph must write the final chapter of a saga lifetimes in the making—one that is inexorably intertwined with that of the twentieth century itself. Unspooling threads of history, personal memory, and family lore, they weave a mesmerizing account of their lives that stretches back decades to their great-grandfather, a brilliant scientist whose professional triumph became the sinister legacy that defines them. 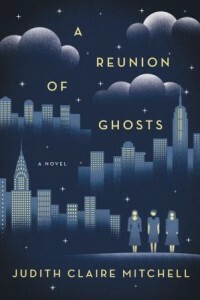 Funny, heartbreaking, and utterly original, A Reunion of Ghosts is a magnificent novel about three unforgettable women bound to each other, and to their remarkable family, through the blessings and the burdens bestowed by blood. 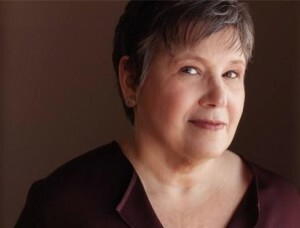 Judith Claire Mitchell, author of the novel The Last Day of the War, is an English professor at the University of Wisconsin–Madison, where she directs the MFA program in creative writing. A graduate of the Iowa Writers’ Workshop, Judy has received fellowships from the James A. Michener/Copernicus Society, the Wisconsin Institute for Creative Writing, the Wisconsin Arts Board, and elsewhere. She lives in Madison, Wisconsin, with her husband, the artist Don Friedlich. Find out more about Judith at her website, and connect with her on Facebook.